Research electives are appropriate for students interested in completing research in a specific area. Research electives require students to submit course goals and objectives, course format, structure and method of supervision and evaluation. This elective may be used for a follow-up or continuation of work on the Scholarly Project, but may not be used for activities related to completion of the original Scholarly Project unless prior approval is obtained. Students interested in pre-approved “away” electives should refer to the VSAS website for full details. There is a separate application process for VSAS electives. Contact the College of Medicine – Phoenix Registrar for additional information. Please note that the sub-internship and critical care selectives may not be taken through VSAS. Neurology, Emergency Medicine, Sub-Internship, and Critical Care may not be taken as an away rotation. Students interested in taking an elective that is not available through VSAS or listed in the Student Electives Catalog are responsible for obtaining complete course information and must obtain pre-approval for the course prior to the course start date. This includes ensuring that a contract is in place between the University of Arizona and the rotation site, which normally requires a minimum of 75 days. Independent study electives are for students working on an individual basis with professors who have agreed to supervise their work. In addition, they are appropriate for students doing independent work, which cannot be classified as actual research. Independent study electives also require course goals and objectives, course format, structure and method of supervision and evaluation. Literature reviews within prescribed parameters may also meet Independent Study elective requirements. Pre-approval is required. This elective is appropriate for students interested in the experience of serving the significantly underprivileged around the world. For complete information, please refer to the Global Health Program. 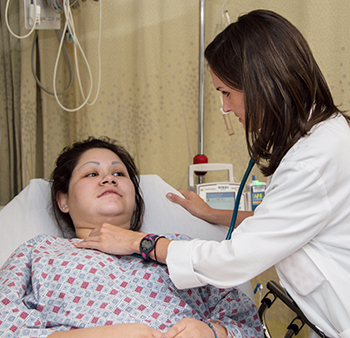 Dual Degree Electives are available to students pursuing the MD/MPH dual degree, a program offered jointly by the College of Medicine – Phoenix and the UA Mel and Enid Zuckerman College of Public Health at the Phoenix Biomedical Campus. Students may take one 4th-year elective from an approved list that will give four hours of elective credit toward the MD degree (under 4th year general elective requirements) and three hours of credit towards the MPH degree.